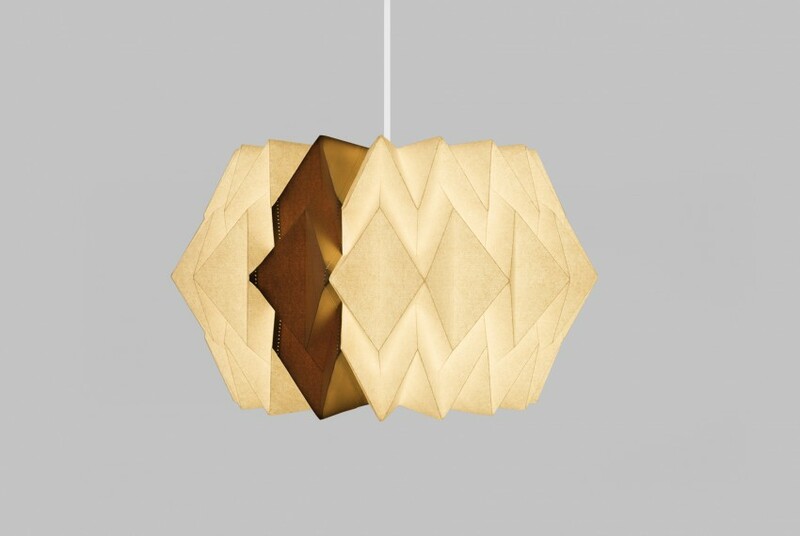 This geometric pendant shade makes a bold and beautiful centrepiece. 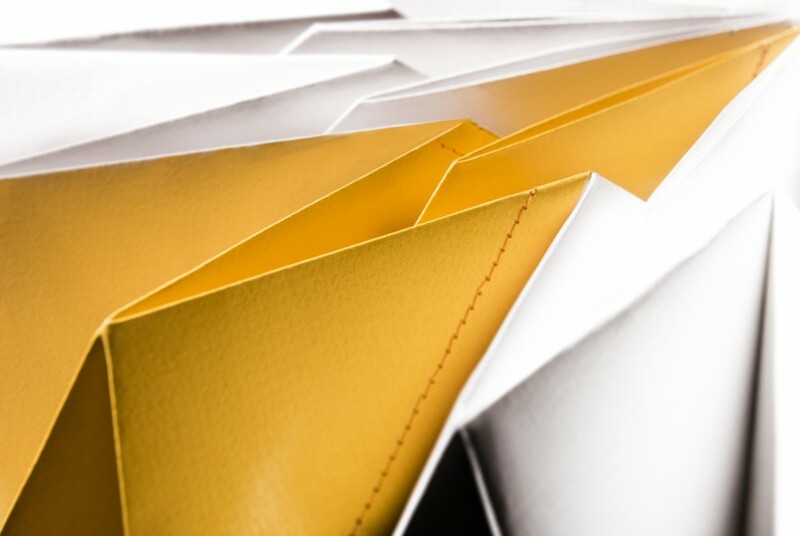 Each shade is unique and handmade to order using a precise process of scoring, folding and stitching. 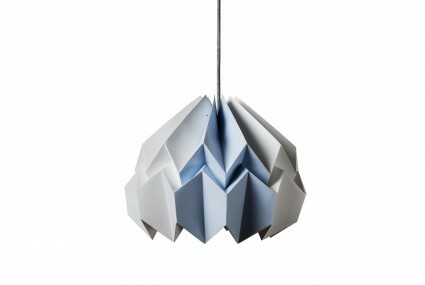 This large geometric shade is scored and folded by hand from 270 gsm FSC certified, acid free paper. Each piece is made to order and comes fully assembled and ready to use with a solid metal cord lock and pentangle cord end. Always use with an LED energy saving bulb (max 10W). 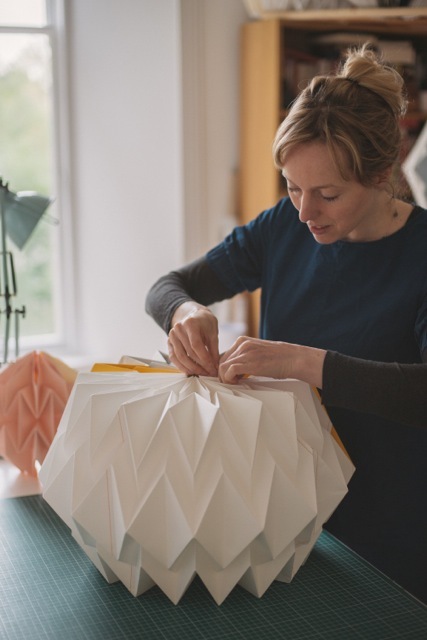 Kate Colin recommends dusting your lampshade with a clean, dry cloth or a soft brush. This item is handmade to order will be delivered within 2 - 3 weeks. 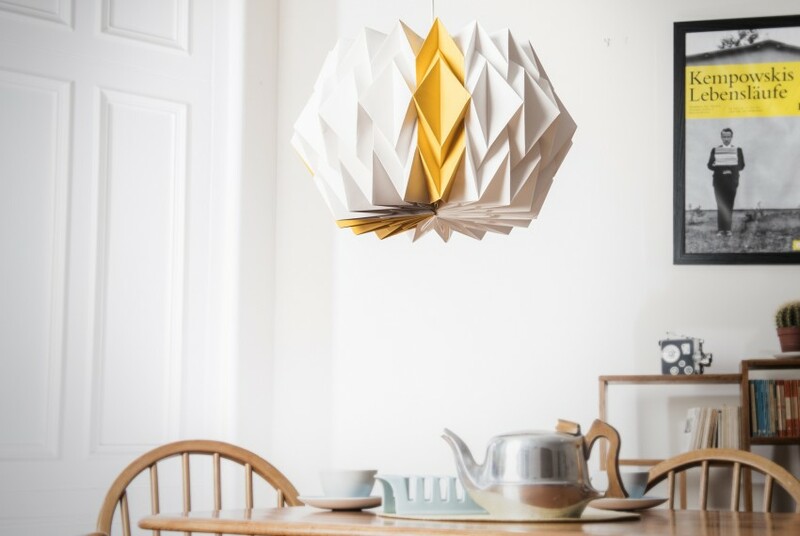 Kate Colin is a Glasgow-based designer and maker who works with paper to create folded sculptural lighting, artwork and objects. 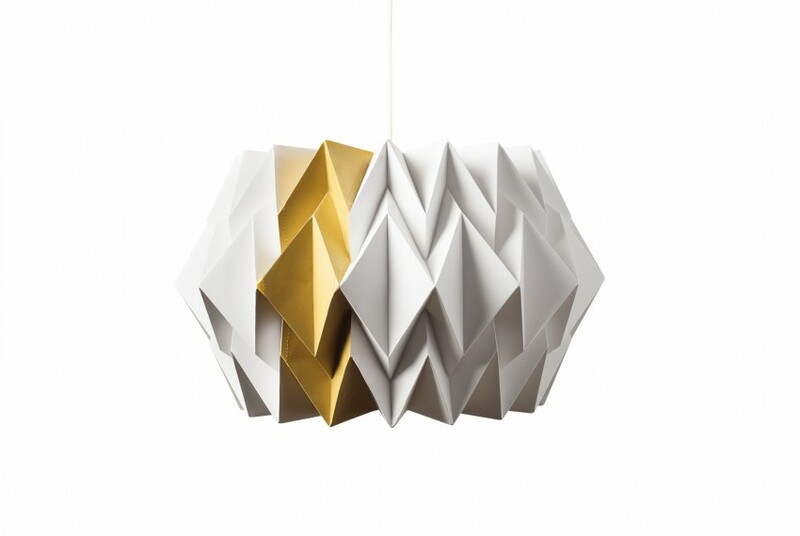 Each unique piece is created using a process of intricate hand scoring and folding techniques through which she explores how light, shadow and three dimensional geometric form interact and complement one another. When illuminated, the appearance of her work is dramatically transformed: folds, creases and angles are emphasised while an intensity of colour is brilliantly revealed. 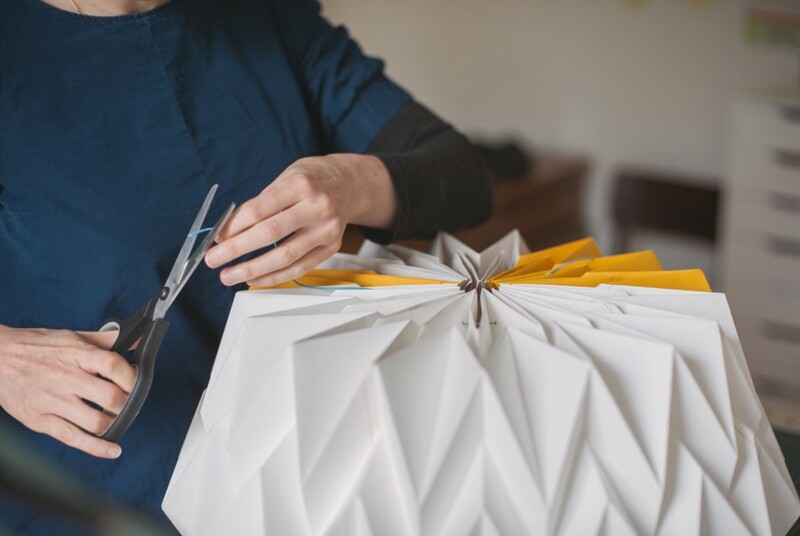 Over the past few years, her practice has developed as she has focussed on the development of more complex folded forms and the exploration of colour and new types of paper and materials. Kate has previously exhibited in London, Edinburgh and Marseille and has had solo shows in Glasgow and Manchester. 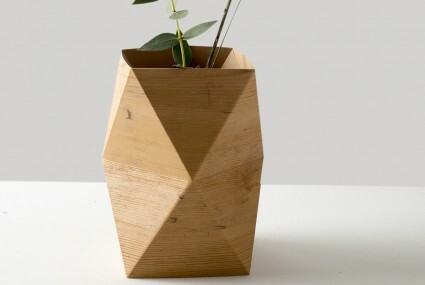 Her work regularly appears in local and national press and has recently been featured in the Financial Times, Elle Deco and Perspective Magazine. 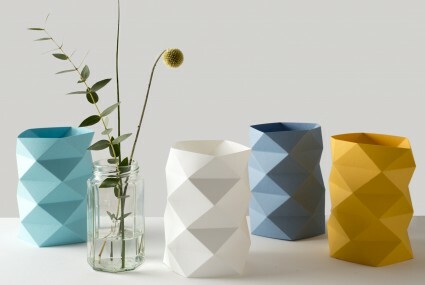 Keep up-to-date with Craft Scotland news and opportunties.